Pedro's Planet – Because good planets are hard to find! We want to be your partner. Help us continue to be your one stop shop for office supplies and recycling/shredding by purchasing the majority of your supplies from us. If you see a product cheaper somewhere, contact us and we will do our very best to match that price and save you money! Another added value is our FREE document shredding. 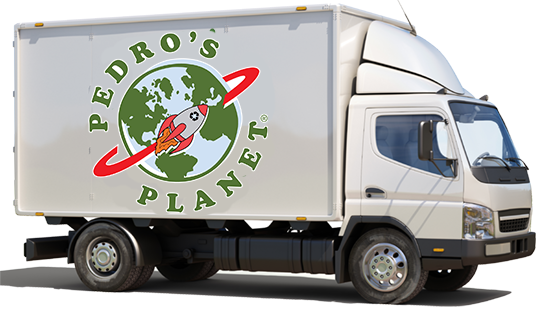 We provide you with a secure locking console, and each time you place an office supply order from Pedro’s Planet, we’ll pick up your shredding. This service is available in St.Louis and Denver locations. 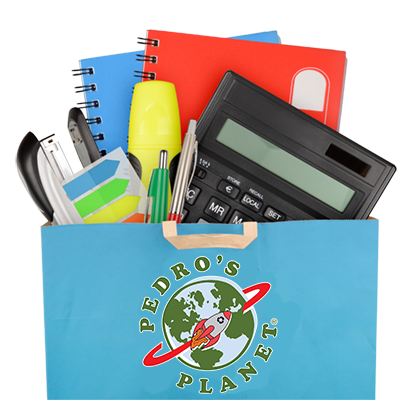 Pedro’s Planet is a leading distributor of office supplies for any business, organization or company. Save time & money by ordering supplies online for your home, business, organization or school! Thanks to our clients, we have recycled over 750,000 lbs of paper, plastic, aluminum and electronic waste in 2017! We’re sure by now you have an iPhone, Droid, or Blackberry. So where is your old phone? You know the one that didn’t have a camera, GPS, Internet, make you coffee? If you still have one, or like 100 of them, let us take them off your hands. 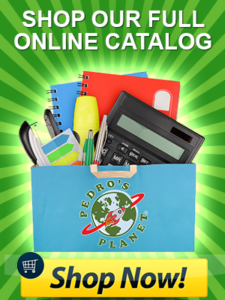 Data destruction now available with Pedro’s Planet! RECYCLING: WE DONATE MONEY WHERE IT COUNTS!